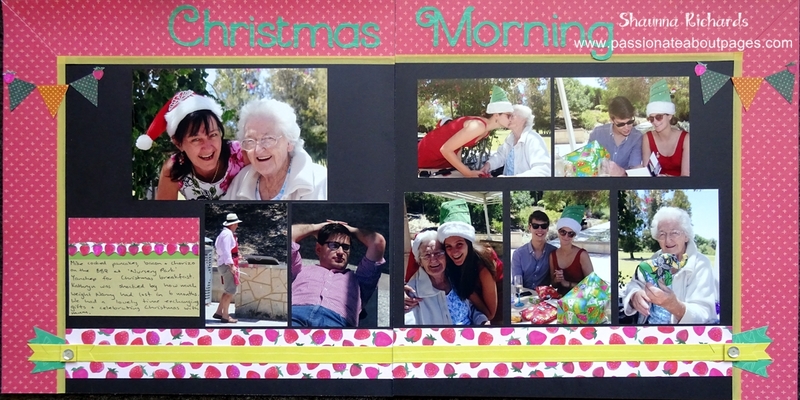 A Christmas page without a Christmas print? 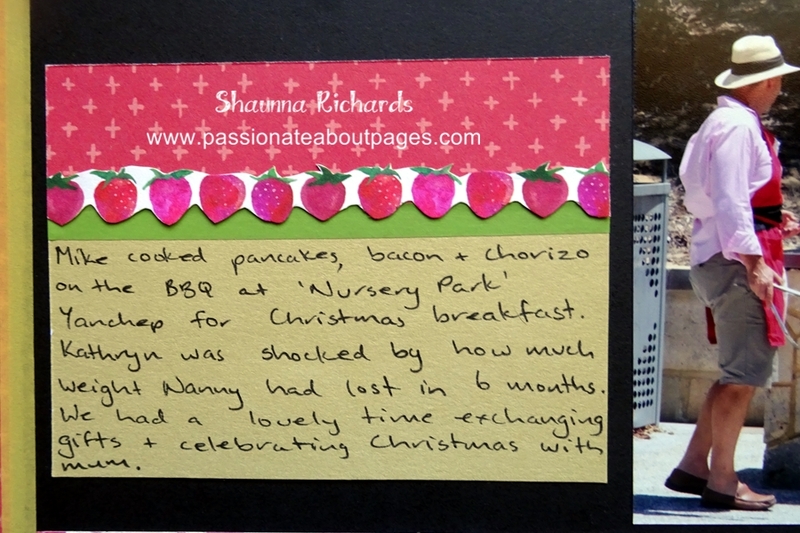 I love this fun layout of our breakfast in the park on Christmas morning. It’s another layout I made using leftovers from my Taste of Summer paper pack. The red frame is made of 2″ strips with corners mitred. I used the yellow 1/4″ Washi Tape from the Carnival pack (Z3067) to give the illusion of a layer of yellow paper. 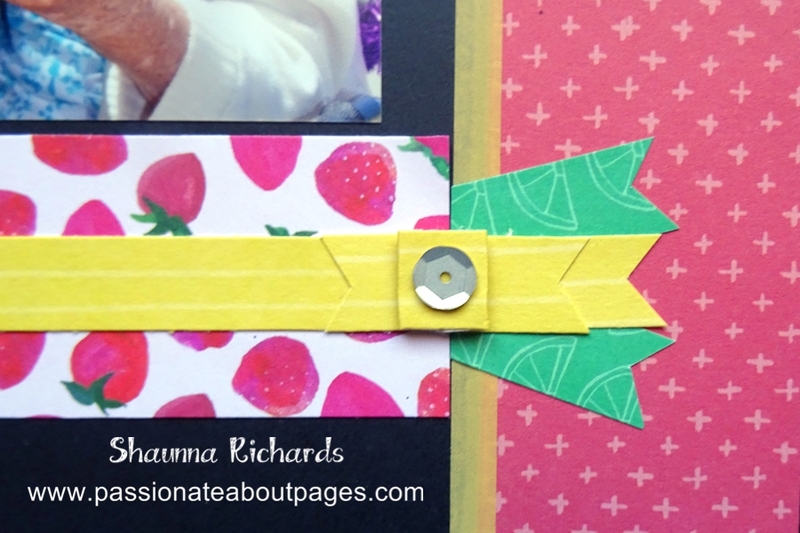 The strawberry border strip is 1 1/2″ wide with 1/2″ strip of yellow centred on it. I folded and cut the yellow to create bows and added a splash of green for the extra ribbons. 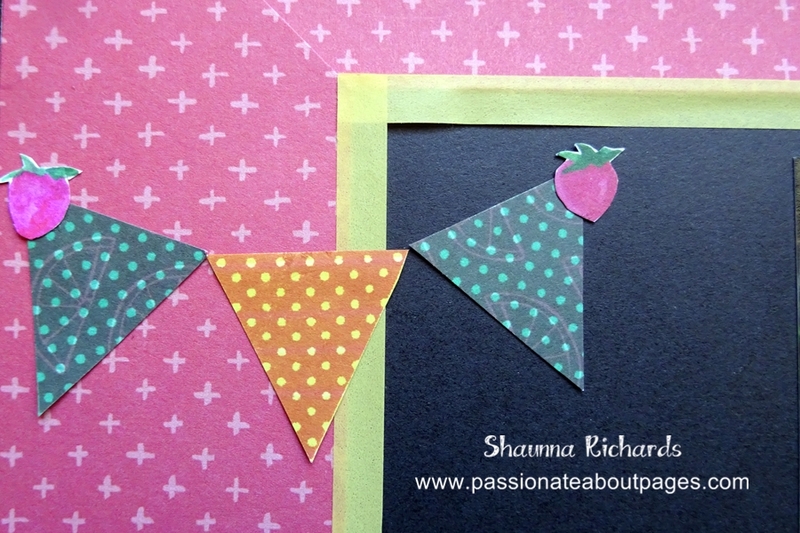 I used May’s Stamp of the Month, ‘Just Sayin’ to create my flags. I stamped in Hollyhock ink onto the yellow and green printed papers. The strawberries were cut from one of the zip strips in the pack. 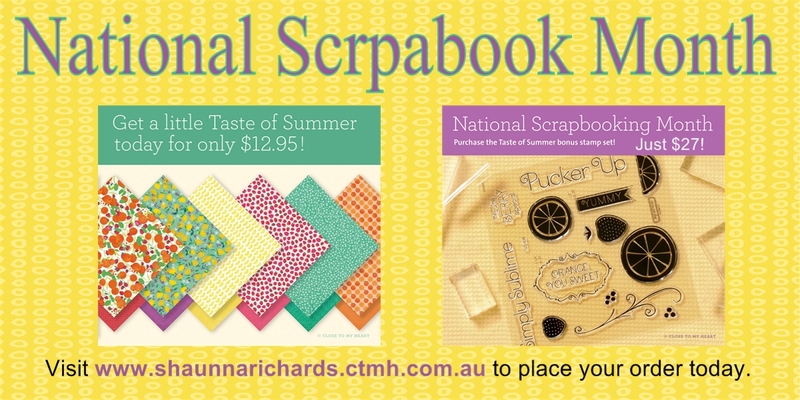 Time is running out to get your pack of Taste of Summer papers. They disappear from our shopping cart at the end of May.